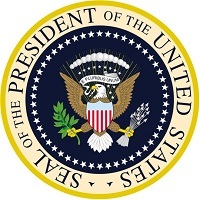 On February 12, 2013, President Barack Obama delivered the State of the Union Address. Bill Windsor of The Revolutionary Party delivered this response to the State of the Union. My Fellow Americans: The State of our Union is as bad as it has ever been. President Obama claimed tonight that the State of the Union is Stronger. In all due respect, his speech was a travesty. The President is either completely out of touch with reality, or he is simply another corrupt politician playing the little game all of our elected officials play in Washington, DC. My name is Bill Windsor. I am a 64-year-old husband of 41 years, father of two, and grandfather. I was born in America. I served in the United States Army Reserve for six years during the Viet Nam War. I am neither a Democrat nor a Republican. I have never protested anything before. I have never been arrested or charged with any crime. I haven’t even had a parking ticket or speeding ticket in more than a decade. I have owned and operated many companies during my career, and I have been President or CEO of large companies. Among other things, I am a documentary film producer and director. I set out to film a documentary about government and judicial corruption called “Lawless America.” The movie became a mission, a movement, and finally a revolution – the Lawless America Revolution. I am speaking to you tonight as the representative of The Revolutionary Party. The Revolutionary Party is a new party that has been created to save America. I happen to believe it is our only hope. If the President doesn’t realize that our country has never been in a worse state, he should be impeached for incompetence. Since he surely knows, does nothing about it, and covers it up, he should be impeached for treason. The sorry state of our union is not due to President Obama. Please do not misinterpret my words; I am not picking on President Obama. The situation would be the same if Mitt Romney had been elected. President Obama is just the current president in a long line that goes back to at least Nixon who have allowed our country to become as corrupt as a country can get. The State of the Union might be summed up in one word: CORRUPT. I personally have provided information to the President about the corruption within the courts. The information has been ignored. I have asked for a meeting with the President or his staff, and my request has gone unanswered. For 241 days, I traveled alone over 30,000 miles to every state filming people who have been harmed by judicial corruption and government corruption. Upon compiling over 1,000 hours of video testimonials from over 750 ordinary citizens from all across the United States, the Lawless America project provides overwhelming evidence that the Constitution and laws written by the Legislative Branch are being disregarded by the Judicial Branch of government. On February 5 and 6, 2013, hundreds of victims and advocates joined me in Washington DC. They made appointments with their members of the House and Senate, and they hand-delivered a DVD containing Congressional testimony from victims as well as proposed legislation to reform the legal system and the judiciary. Every member of Congress has received two faxed letters from me with the information as well as the evidence compiled on video and on the website, www.LawlessAmerica.com. We have shown Congress what is occurring all across the country and why public Congressional hearings are needed to make the public aware and bring about the change required. If our members of Congress were unaware of this, I say they, too, need to be impeached for incompetence, because thousands of people have been trying to get them to act for years. Now that every member of Congress has Lawless America’s evidence, it’s put up or shut up time. Either the House and Senate schedule public hearings immediately, or we need to move quickly to impeach our current elected officials and put them on trial for treason. This is not a game. This is more serious than a heart attack. These are the lives of every American that we are dealing with, and all of our children and grandchildren and their children and grandchildren. If we don’t save America now, I believe our country is doomed. The Lawless America Revolution is absolutely non-violent, but I hear there are others who believe armed conflict is coming. Nothing would surprise me at this point. Congress needs to act to minimize the corruption, which means they will all have to cease to be corrupt…and that’s why we have a problem. In addition to the personal meetings on February 5 and 6 in DC, we invited every member of Congress, their staffs, and the media to attend one of three presentations by those who came from all over America. Not one single solitary person showed up. I believe this tells us all that we need to know about Congress and the media: they are corrupt to the core. The media aids and abets the corruption by covering it up. Our documentary film titled Lawless America is scheduled to be released in January 2014. Discussions are also currently underway that could lead to a weekly Lawless America network television show. The movie asks: Can 750 Nobodies save America? That's the goal of the project. 750 nobodies and their families and friends have set out to save America. No guns, no violence, just a Jeep, cameras, microphones, and 750 everyday people telling their stories. We started it, but it will take millions of Americans to finish the job. I just about croak every time I see a presidential address and observe the political partisanship. One party claps, and the other party sits on their hands rudely. The truth is that there is no difference between the Republicans and Democrats; both parties are hopelessly dishonest and corrupt. We the people of the United States of America don’t have a chance with the Democans and Republicrats. I believe our only hope is a new party that is committed to minimizing the dishonesty and corruption that is currently standard operating procedure in government at every level all across America. President Obama spoke of manufacturing, energy, infrastructure, housing, jobs, minimum wage, cyberthreats, poverty in other countries, preventable deaths with the world’s children, and a strong military. This is what his speech was about. None of these represent the most significant problems in our country! The immigrants who I have filmed all across our country know what’s wrong with America: We are a horribly dishonest country that is as corrupt as it gets. Virtually every immigrant I filmed said they would not have come to America if they had known the truth. It made me sick when the President said that “America must remain a beacon for all who seek freedom.” He then had the audacity to tell a story that implied that there is justice and law in the United States. I say to those in other countries who seek freedom and justice, stay as far away from America as possible. You will not be free here. You will not find justice here. Freedom and justice have been stolen from us. In America, we no longer have a justice system, we have an INjustice system. In America, we no longer have a legal system, we have an Illegal system. Our forefathers are turning over in their graves as are the men and women who have died in the military after being told they were fighting to protect our freedom, our rights, and justice. I respect and support our military and those who have died, but every veteran who I filmed in stops all across America said words to the effect that anyone who joins the military to fight to protect our rights has been hoodwinked. It’s all a mirage – a fairy tale that we are taught in school. 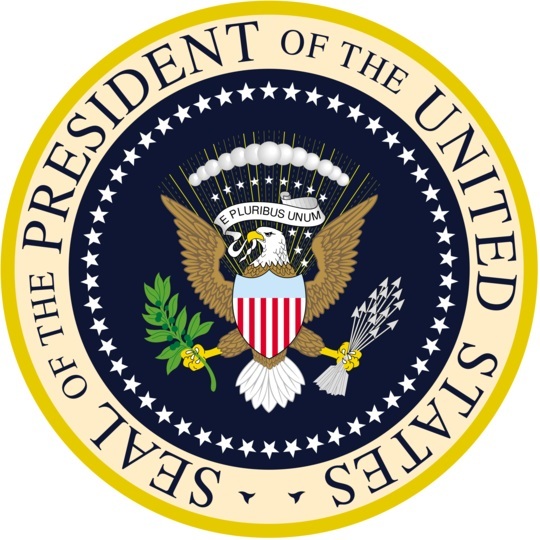 I did fall out of my chair tonight when I head the President speak of universal rights…in other countries – seeking fundamental rights…in other countries – The he talked about the God-given right to vote. God didn’t give us the right to vote; that’s a creation of government. Our fundamental rights are life, liberty, pursuit of happiness, being a child, being a parent, having a family. No wonder we are in so much trouble. When our President thinks God’s fundamental right to us is the right to vote. Heaven help us. I thought we were on to something when the President spoke about protecting our most precious resource – our children. Now that is something that we must do. But he then spoke only of gun control, which happens to be a Constitutional right that neither he nor Congress should have any right to meddle with. But the real issue was ignored – protecting our most precious asset, our children. The Children’s Defense Fund reports that approximately 3,000 children are killed each year by guns. An equal number die in foster care, and a huge number are abused in foster care. 250,000 children are put into foster care each year, and there are over half a million children in foster care. Many are stolen from loving parents due to money-making schemes. Many are abused in foster care, and many die. The vast majority of people in prison came up through the foster care system – 70%. Children in foster care are given psychotropic drugs at a rate 3-times higher than that of low income families who receive Medicaid. It’s a huge racket where expensive brand name drugs are used 3-times more than the normal use of generics outside foster care. Children in foster care experience high rates of child abuse, emotional deprivation, and physical neglect. Nearly half of all foster kids in the U.S. become homeless at age 18. 30% of the homeless in America are former foster children. The National Center on Child Abuse and neglect reports that six times as many children dies in foster care than in the general public. There are reports of child abuse and neglect with six million children annually in the United States. An actual report of child abuse is made every 10 seconds in America. Imagine the number that are never reported! At least five children die every day in the U.S. from child abuse, and it is estimated that as many as 60% of child deaths due to maltreatment were not reported as such on death certificates. 30% of abused and neglected children will then abuse their own children. The estimated annual cost of child abuse in the U.S. is $124 billion, and that doesn’t begin to count the many costs that can’t be measured in dollars and cents. And when abuse is reported in a divorce situation, an astounding percentage of the abusers are awarded custody. Now ladies and gentlemen, the right to be a parent is a God-given right. The government has no business whatsoever taking away that right. If there are criminal problems with child abuse and neglect, deal with those in criminal courts, but no one must ever be allowed to say a biological mother or father can no longer ne; it simply doesn’t work that way. Despite the true problems, President Obama focused much of his State of the Union address on taking away guns in an effort that is unlikely to save a single child from death by gunshot. And he ignored the real, extremely well-documented problems. The President called again and again for a vote on the issue. “Let’s have a vote. “Let’s have a vote.” Well, what we really need is a public hearing on government and judicial corruption. LET”S HAVE A HEARING. LET’S HAVE A HEARING. Let’s show the American people that our governments have become criminal racketeering enterprises and that we have all had our fundamental rights stolen. And there isn't a thing you can do about it. It's Lawless America. And our elected officials in the Democratic and Republican parties are at least dishonest, and most simply have to be classified as corrupt. They ignore the real problems in America. They take care of their fat cat friends. They have mortgaged our future and have all but destroyed America. A recent survey found that the approval rating of Congress has dropped to its lowest level in history – 12 percent. That's down from 21 percent in June. But what did in November was re-elect many of these folks and when we did elect new folks, it will just be more of the same. The only way we will get what we need is to Replace the dishonest, corrupt people in our elected positions at the federal, state, and local levels. And Lord Acton is credited with saying: "Power tends to corrupt, and absolute power corrupts absolutely. We have tyranny in America, and absolute power has corrupted beyond belief. After carefully evaluating our plight, I propose that the way to save America is through the creation of a new political party. The Revolutionary Party. Our proposal is to build a new political party from the 99% of us who are currently essentially powerless. We elect people who we feel will be honest and protect these fundamental rights, and we have contracts and pass laws that make these elected officials accountable. Our elected officials and judges do what they are supposed to do, or we remove them immediately. By requiring every government official to sign a Contract with the Citizens making them accountable to us through a Grand Jury action, we will be forever protected against the corruption that has eaten our country alive. Never again. Another fundamental right is to be presumed innocent until proven guilty and that justice is what should be the focus of any and all legal proceedings. The innocent must be released from jail. Some experts say that as many as 25% of the people in prison are innocent. So, I believe we must abolish the death penalty except in cases of treason. The United States has the highest incarceration rate in the world. One in every 31 adults (7.3 million) in the United States is behind bars, or is on probation and parole. And reports indicate that 70% of the people in prison were formerly in foster care. We propose total legal reform. Minimize legal expense. Redress should be available for all who have been wronged. We propose that everyone wronged be allowed to pursue legal action against all the wrongdoers. PLEASE be a part of history. Help save America!